Rather than applying messy creams that need to dry to your body acne, wouldn’t it be nice to take care of those things in the privacy of your shower? With Murad Acne Body Wash, they claim to give you a product that cleanses your skin and treats acne all over your body. Is this true? We need to look at the consumer reviews and ingredients to determine that. Murad was the first doctor branded skincare line and keeping up with their extensive list of products for healthier-looking skin they developed an Acne Body Wash to treat body acne and “bacne.” This acne treatment exfoliates the skin to polish pores to prevent future breakouts. The Acne Body Wash formula gently eliminates acne inflammations and swelling while also moisturizing the skin. This triple-action formula comes patented with the power to cleanse your skin. The core ingredients in the Acne Body Wash include Triclosan to rejuvenate the skin and kill bacteria, 1.0% Salicylic Acid to control acne and fortify the skin, and Date Seed Powder to exfoliate the skin. This combination erases the irritations of acne. 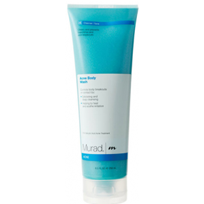 Murad Acne Body Wash also packs in humectants to keep your skin hydrated and healthy. 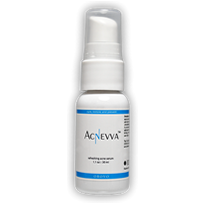 These humectants bind moisture to your skin.This brand of acne wash is known for quality. This product is a deep cleanser that heals and soothes the skin from blemishes on the body. 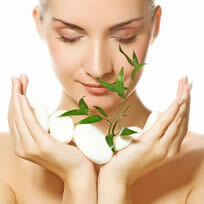 The inclusion of Salicylic Acid should have the ability to control acne and help protect the skin from future breakouts. 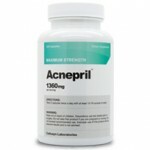 A minor problem with the treatment is that this particular product does not mix well with other topical acne treatments. Mixing treatments often leads to irritated and dry skin. If you have other skincare products and regimens, the Murad Acne Body Wash might not be the best addition. Overall, we like Murad Clarifying Body Spray and feel that it will be safe and effective for people trying to incorporate an acne-treating body wash into their skin-care regimen.